Date: Apr 18 2019, 6 p.m. Explore different foods and spirits with your guide, Woodford Reserve Master Distiller, Chris Morris. 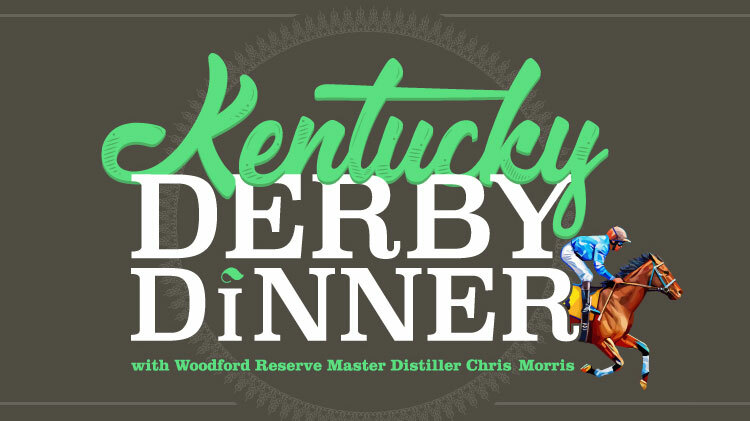 Derby Bottle Signing with Chris Morris: 3 p.m. - 5 p.m.
7:15 p.m. | Woodford Reserve inspired buffet dinner followed by a Q&A with Chris.